Wearing some sun protection all year round, not just in the summer (and certainly not just when you fly away on holiday!) is the secret to having beautiful, youthful skin in later life. It’s also a fantastic way to lessen your risk of some serious skin diseases. So what’s not to love? Here we explain why you should have some SPF coverage all year round, and let you know the times your skin is in extra danger from UV rays, even during autumn, winter and spring. It is the sun’s UV radiation that damages your skin and causes it to age. There are different kinds of UV radiation that damage our skin in different ways. UVA is the kind that causes aging, and UVB is the kind that causes burning and is known to contribute to skin cancer. Both enter the atmosphere in sunlight – even during the winter months. Importantly, clouds don’t filter out all UV radiation. Even on an overcast, early-spring afternoon, there will be significant levels of UVA that penetrate the atmosphere, which can age your skin prematurely. That’s why it is so important to have some SPF coverage all year round. You can’t judge how much UV radiation there will be just by what season it is. There are other factors which affect your exposure to UV radiation which you need to know about, so you can protect against them. They can mean a high UV level, even in the winter. Firstly, altitude. As a rough rule from the World Health Organisation, for every 1000m you gain in altitude, the amount of UV radiation increases by 10%. This means that if you are in mountainous regions, even in the winter, you should take extra steps to protect your skin. Snow has a big effect, too. It reflects UV radiation just like it reflects visible light. The UV rays which would have been adsorbed by the ground get reflected back up towards your skin. When combined with the previous point, this means mountain skiers should take particular care, even when outside in wintry, cloudy weather. Finally, your latitude also affects how much UV radiation reaches your skin. The Earth isn’t a perfect sphere, but bulges out a little around the middle, the Equator. If you are heading to a more equatorial destination, make sure you take extra precautions! No matter what the season, your face is likely to be uncovered and exposed to the sun on a daily basis. 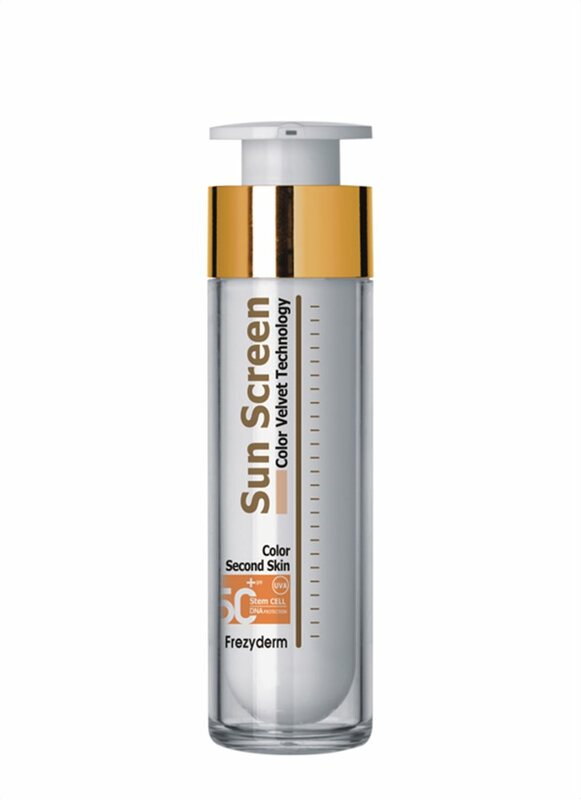 To help protect your skin, we have developed a facial sun screen that is a joy to use every day. Leaving skin with a rich, velvety feeling, our Sun Screen Velvet Face SPF 30 is perfect for daily UV protection when UV levels are down from their summertime highs. If you want extra help keeping your summer colouring through the winter, you can use our Sun Screen Color Velvet Face SPF 30. It’s gentle tinted colouring gives a healthy background colour to all skin tones through those pasty winter months! In the summer, simply swap for the SPF 50 versions for year-round protection! Our products are tested for safety and effectiveness on volunteers from accredited clinical labs, and not on animals.